I was reminded recently of my Classics background and about the link between art and technology, how new technological advances would push forward the development of, particularly, the plastic arts. 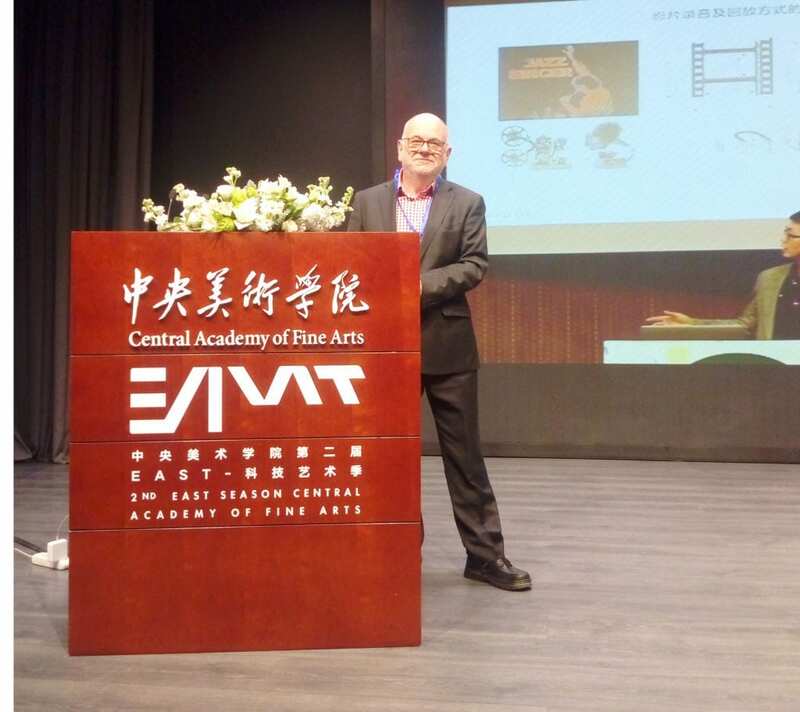 The same is true now and I was delighted to be invited to speak at CAFA, the Central Academy of Fine Arts, Beijing, at their International Conference on Education, Art, Science and Technology. 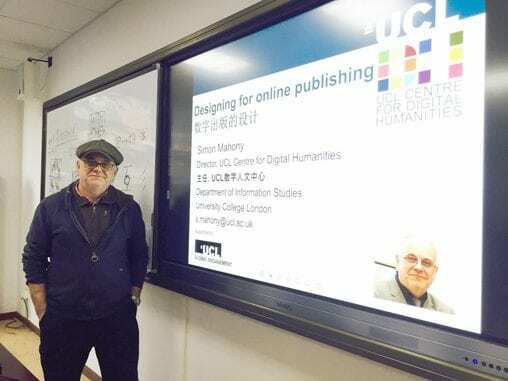 My keynote talk, ‘Digital Humanities teaching and Research at UCL: connecting the curriculum’, was part of their Global Landscape session and followed by a panel on engaging pedagogy with art-based research. 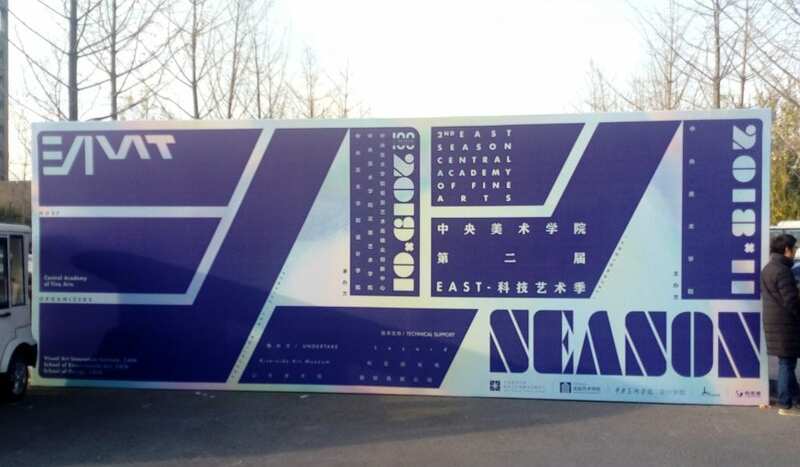 This was their 2nd EAST Season with a long-term objective to create a global alliance of art and technology institutions, research and education centres to spread and exchange ideas. 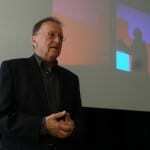 The conference brought together practitioners and researchers, technologists and educators, design and gallery professionals. Live translation made the talks accessible to all. 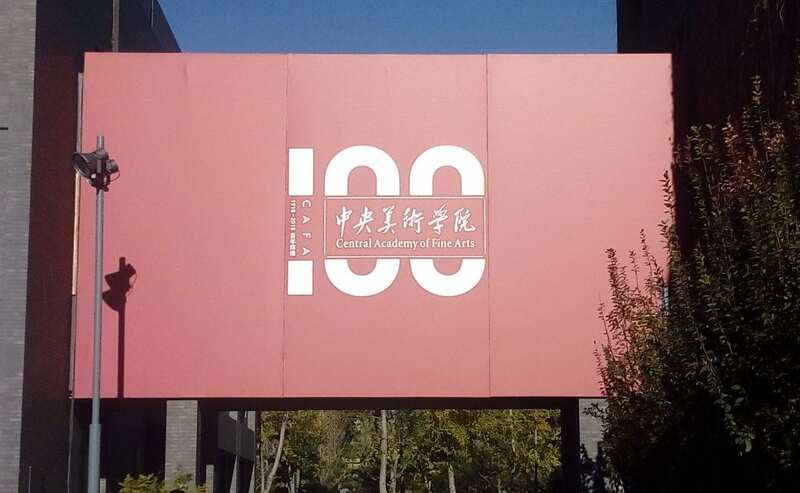 CAFA is currently celebrating its 100th anniversary. 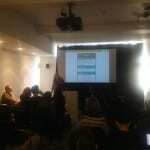 I was also asked to run a workshop to introduce an understanding of some aspect of digital humanities. I chose, what is to my mind, one of our distinguishing features and that is our cross-disciplinary nature and the importance of collaborative working. My aim was to introduce the concept of collaborative writing with a practical to develop skills needed for multi-authored documents. So, a talk on the importance of group work followed by a writing-sprint; in small groups they were tasked to write a short piece with a choice of either a short story or something about their experience of the conference. All the groups chose the short story option and managed an impressive output which they presented, as groups, after 90 minutes. The participants had wide ranging backgrounds and were almost all staff and professionals. The stories revolved around a fascination with AI, robotics and gender, fantasy and dreams. Google docs (which I would normally use) is, of course blocked in China and they introduced me to their equivalent: Shimo. I learn new things and make new contacts at every trip. 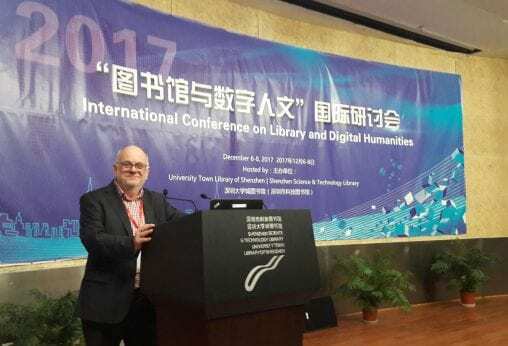 I was very pleased to be invited back to the Shanghai Library and this time to speak in the Digital Humanities strand of the 9th Shanghai International Library Forum (SILF 2018). 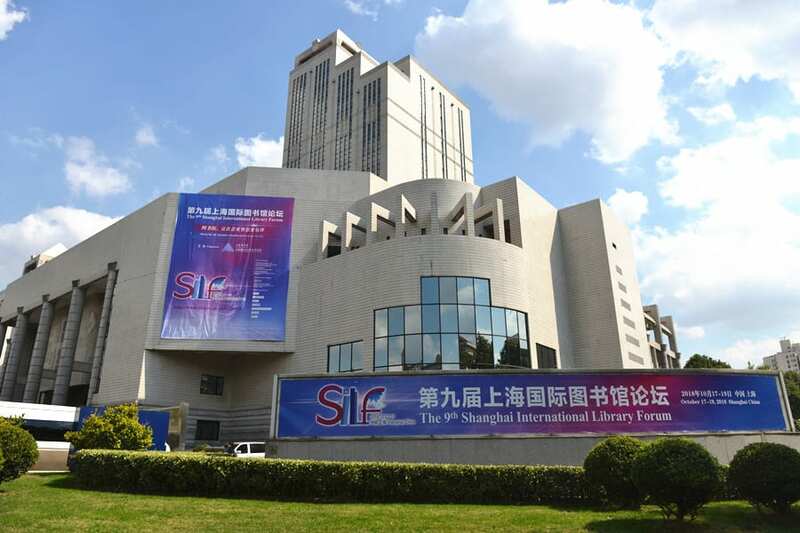 The municipal library of Shanghai is the second largest public/research library in China (after the National Library in Beijing) and also houses the Shanghai Institute of Scientific and Technical Information. The building is certainly impressive and a fitting venue for an extremely wide-ranging conference. 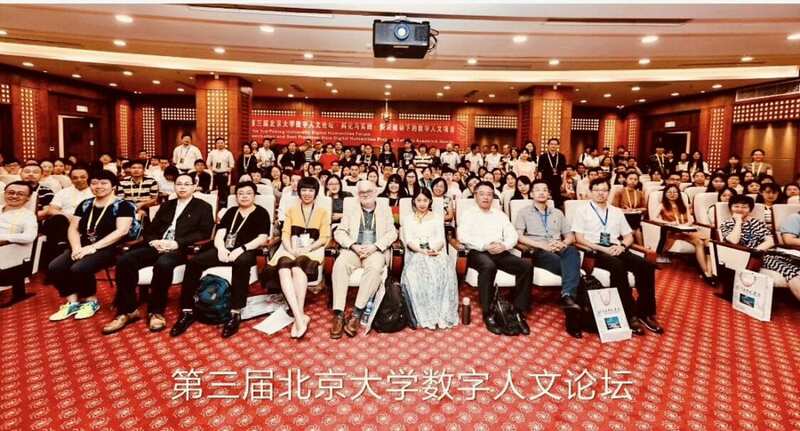 I felt privileged to be included among the VIP foreign speakers. The theme for the conference was ‘Library for All: Towards a Smarter and Inclusive Society’ with eight sub-themes including ‘smart age and smart libraries’, ‘the transformation and innovation of libraries in the age of the “internet+”‘, ‘design ideas in libraries’ and more. 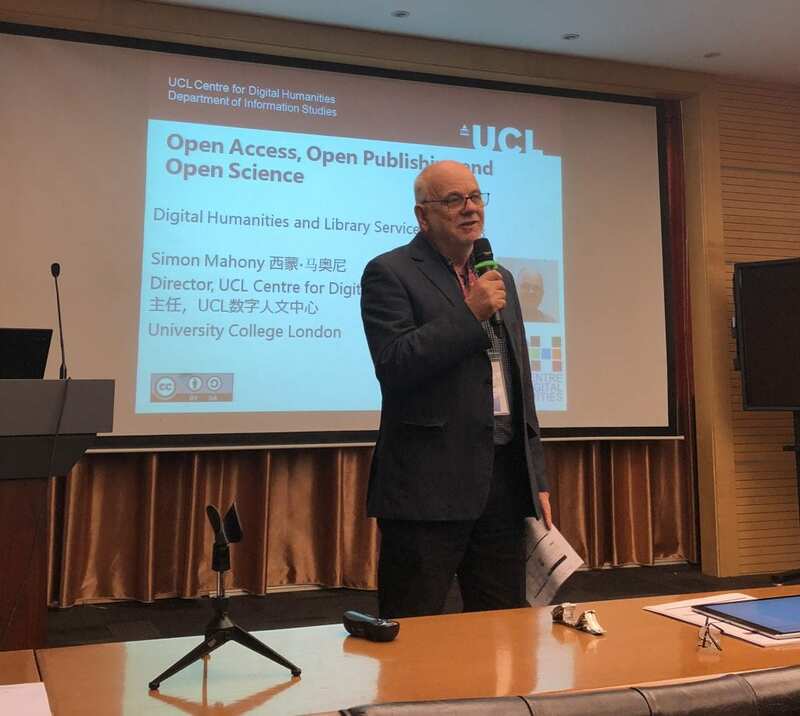 My session, ‘digital humanities and library services’ allowed me to talk about and highlight some of the important initiatives taking place in the West: Open Access, Open Publishing and Open Science. 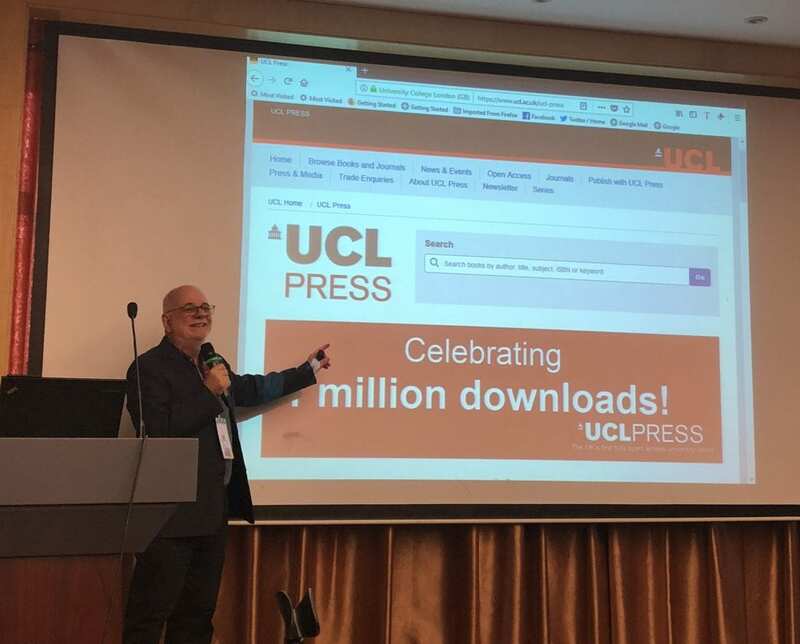 And that context gave a welcome opportunity to once again showcase UCL Press with its strong stand on open and the recent celebration of 1 million downloads. It was particularly pleasing to be able to be joined at the conference by two DIS students: Yamin Fu, who gave an excellent paper, taken from her PhD research, titled ‘Cognitive mapping in exploring library user experiences’, and a completing MSc Information Studies student, Yifan Wang. My thanks to them both for the photos of me above and for making sure that I didn’t get lost (too often). As always, the hospitality was exemplary with a VIP welcome dinner plus a conference banquet featuring the many multi-talented library professionals demonstrating skills ranging from calligraphy, a traditional tea ceremony, modern and traditional dancing (not all at the same time). 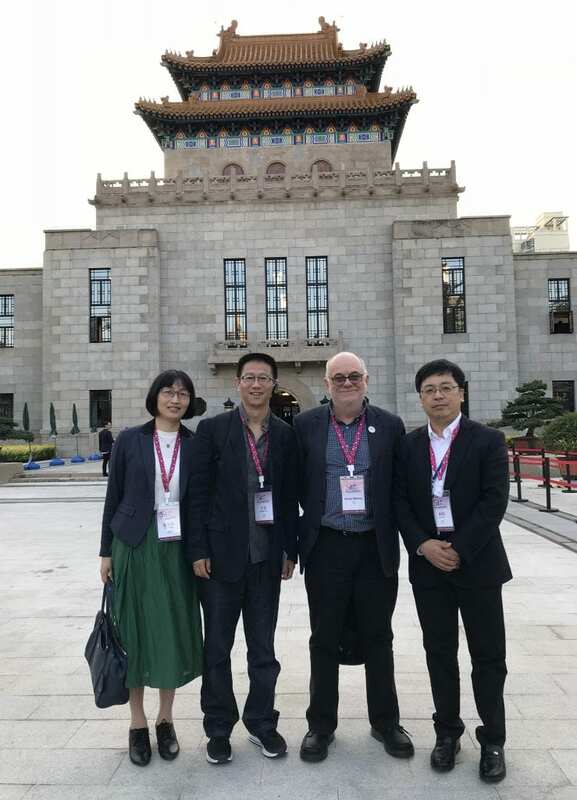 The conference was rounded off with a visit to the original Shanghai Library in Yangpu, which has recently been opened to the public after considerable restoration. Do take a look at the images on the website link. 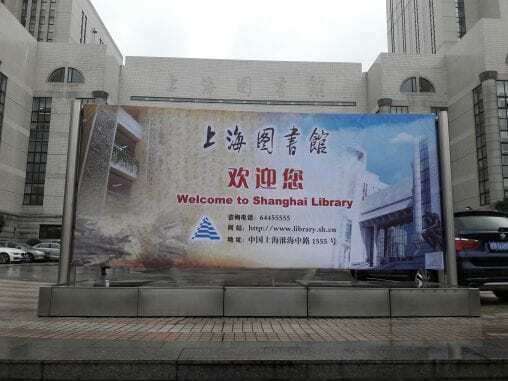 The Digital Humanities research team at the Shanghai Library are involved in an impressive array of research projects with much of their output and many data sets freely and openly available. 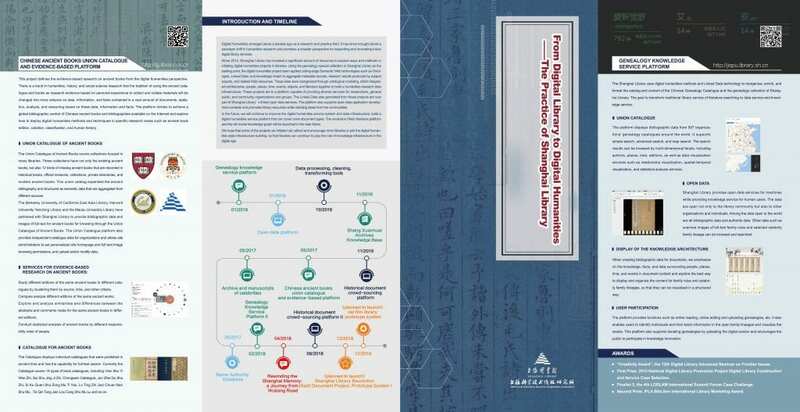 They produced a document flyer for the conference: From Digital Library to Digital Humanities – The Practice of Shanghai Library and I include images of that here. 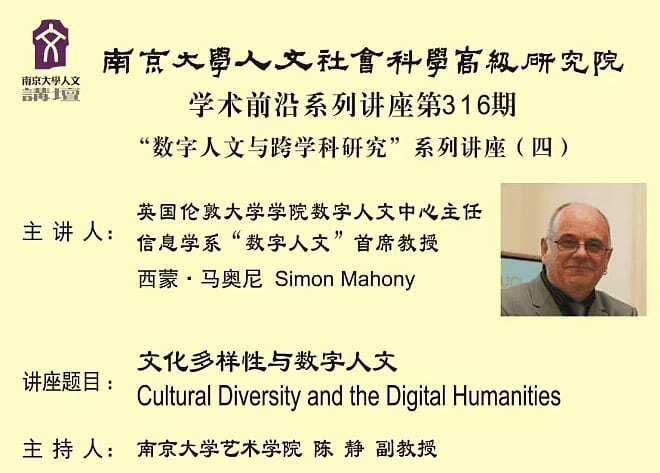 I was very pleased to be able to accept an invitation to speak at the 2018 World Historical & Cultural Cities Expo in Nanjing in May. 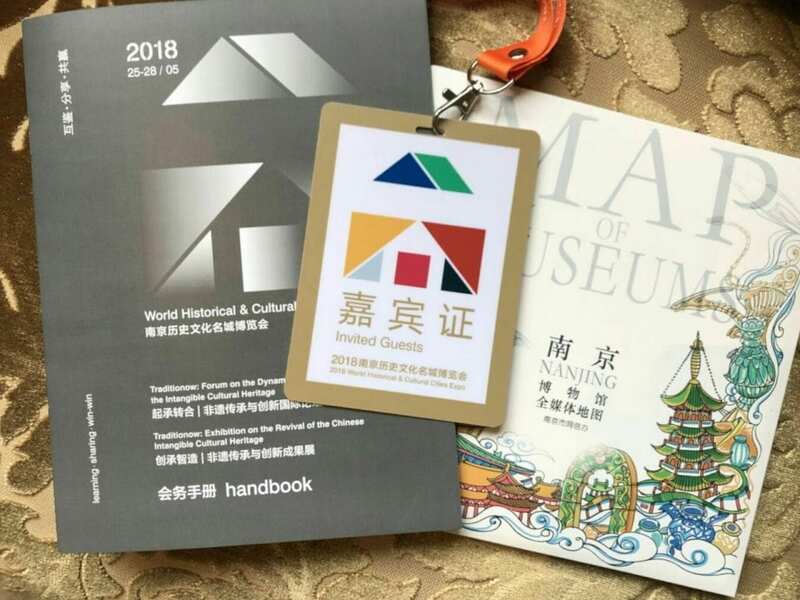 The organisers (Traditionow – Xihan Action) have a strategic partnership with UNESCO to protect the World historical & cultural cities and their cultural heritage. Xian Action is an NGO working on the protection and promotion of intangible heritage, especially handcraft technique, knowledge and recreation. There is a danger that in an industrialised and fast developing society that traditional crafts and skills will be lost. 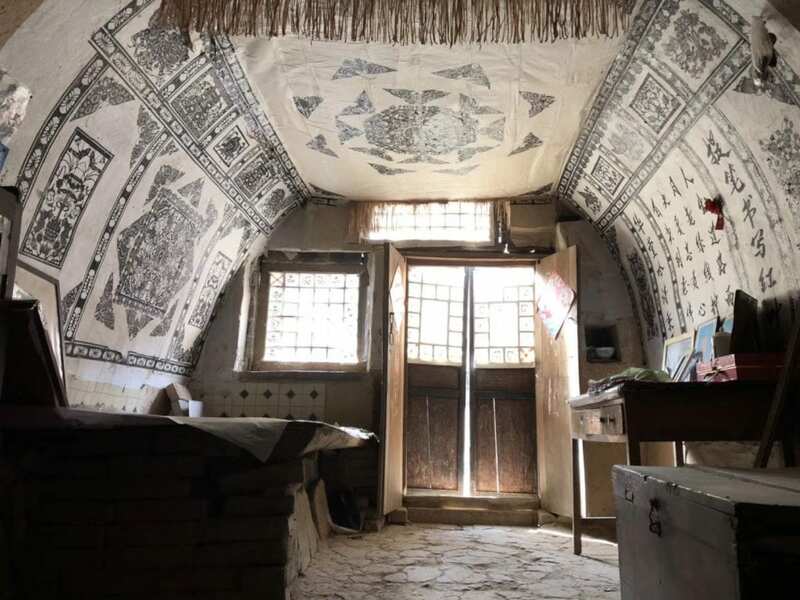 This two-day event, Forum of Dynamic Inheritance of Intangible Cultural Heritage, had presentations from academics, craft practitioners and entrepreneurs, all interested in cultural heritage and its preservation. I was able to draw on UCLDIS colleagues’ oral history research, emphasising the importance of talking to craft practitioners to protect the skill’s memory; I used the traditional craft of paper-cutting as a case study and specifically the unusual ‘black paper cutting’ from the Nangou Village where the older inhabitants live in caves decorated with their work. Black paper cutting at Nangou Village. 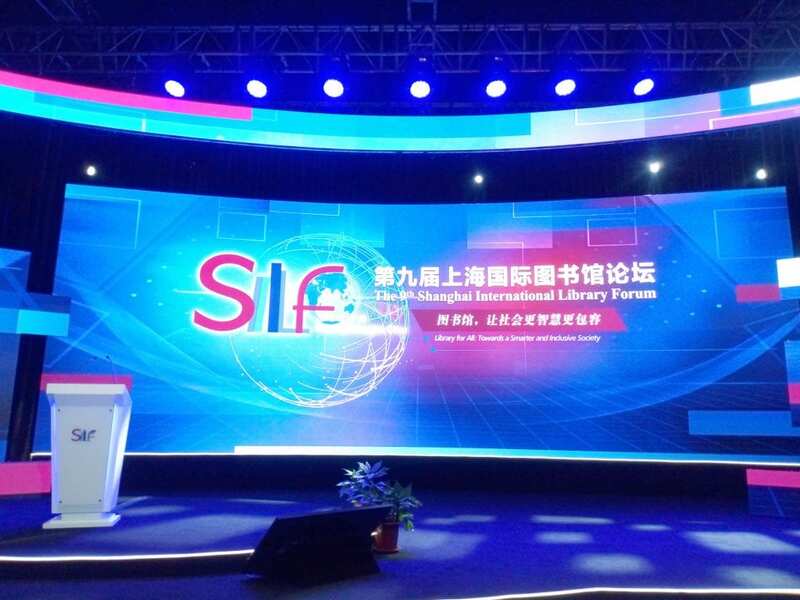 Image copyright Kong Qiongpei (China Academy of Art) and used here with permission. 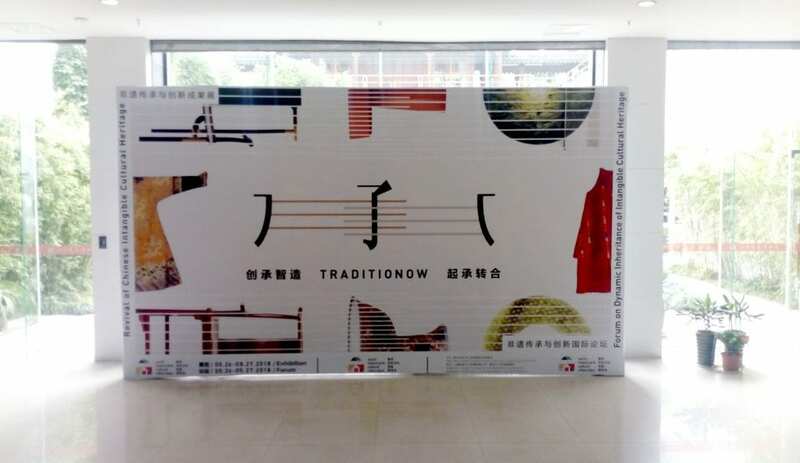 As part of the event, there was a really inspiring exhibition of traditional craft work, which also included modern interpretations of traditional design work. 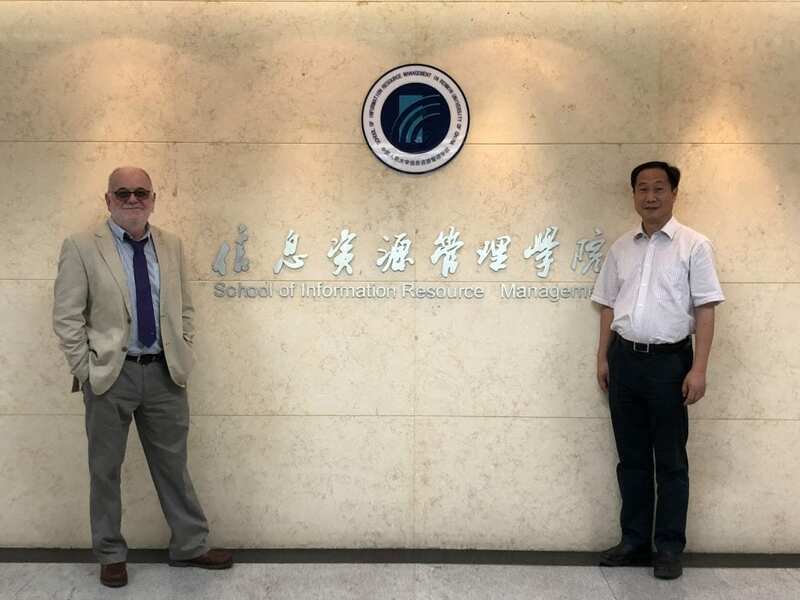 This trip allowed another opportunity to enjoy the hospitality of Nanjing University and the Digital Humanities research group there. 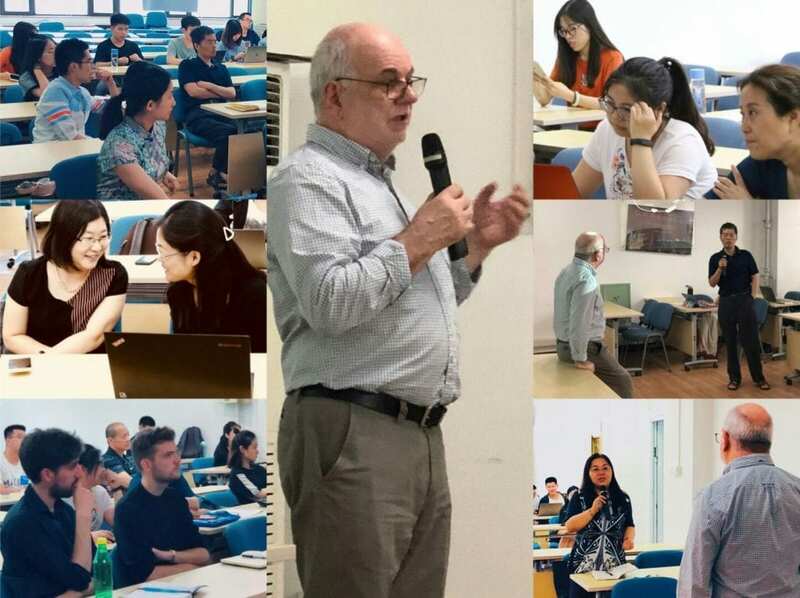 This included a guest lecture to staff and students in the Faculty of Arts and Cultural studies as well as meetings in their Institute of Advanced Studies of Social Science and Humanities to discuss possible future collaborations and further visits. Martin Zaltz Austwick, our Associate Director and Senior Lecturer in Advanced Spatial Analysis and Visualization, has been reporting on the Survey of London: Whitechapel project at the annual meeting of the American Association of Geographers in Boston, at a seminar for Geospatial Innovations in the Digital Humanities in Lancaster, and at a workshop on Visualizations and other digital possibilities at Birkbeck, London. 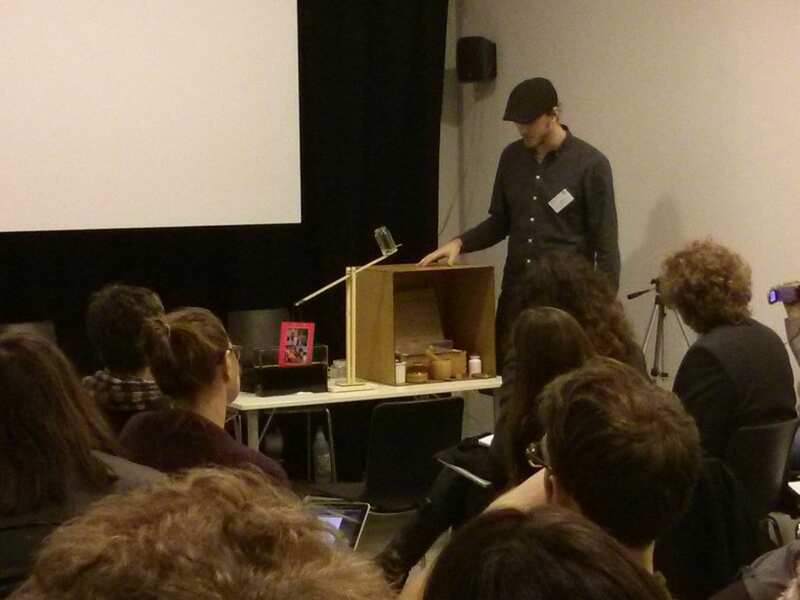 Duncan Hay, Research Associate at the Centre for Advanced Spatial Analysis, spoke at an event for World Poetry Day, organised by the Digital Scholarship team at the British Library. Andreas Vlachidis and Antonis Bikakis will be presenting their paper on “Semantic Representation and Enrichment of Cultural Heritage Information for Fostering Reinterpretation and Reflection on the European History” at the ITN-DCH Final Conference on Digital Heritage, on 23-25 May 2017. Pete Williams will be giving a paper at the IJAS International Conference for Academic Disciplines in Venice, on 20- 23 June 2017. 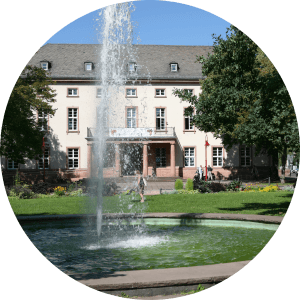 Between 19-21 January I attended Technology meets Scholarship, or how Handwritten Text Recognition will Revolutionize Access to Archival Collections in Marburg, Germany. During the first day of the conference, the outside temperature was -10. It was, however, a really warm group of people. Much interest in Universal Acceptance at ICANN‘s recent meeting in Singapore. Universal Acceptance means getting all domain names to work, however long they are and whatever script they’re in. Traditionally most Top Level Domains have been ASCII three digit if generic names (e.g. .com) and two digit if country codes (e.g. .uk). Now more or less anything goes and there will be extensions such as .versicherung and .삼성 (Samsung). And so the title of this article could be an email address: Chris.Dillon@handphone.Samsung. “Handphone” is Konglish (Korean English) for “mobile phone”. Incidentally, if your browser does not display the hangul in this article correctly, you have a Universal Acceptance issue. I attended ICANN‘s 50th meeting which was held in London recently and brought together 3,400 international stakeholders from government, business, civil society, technical organizations and research institutions to discuss the development of the Internet’s addressing system. It was ICANN’S largest ever meeting by far. Over 300 of the new generic Top Level Domains for which UCL did the linguistic checking have now been delegated. 40% of the world’s population is now connected to the Internet. In 1999, in the early days of ICANN, only 4% were connected and half of those were in North America. 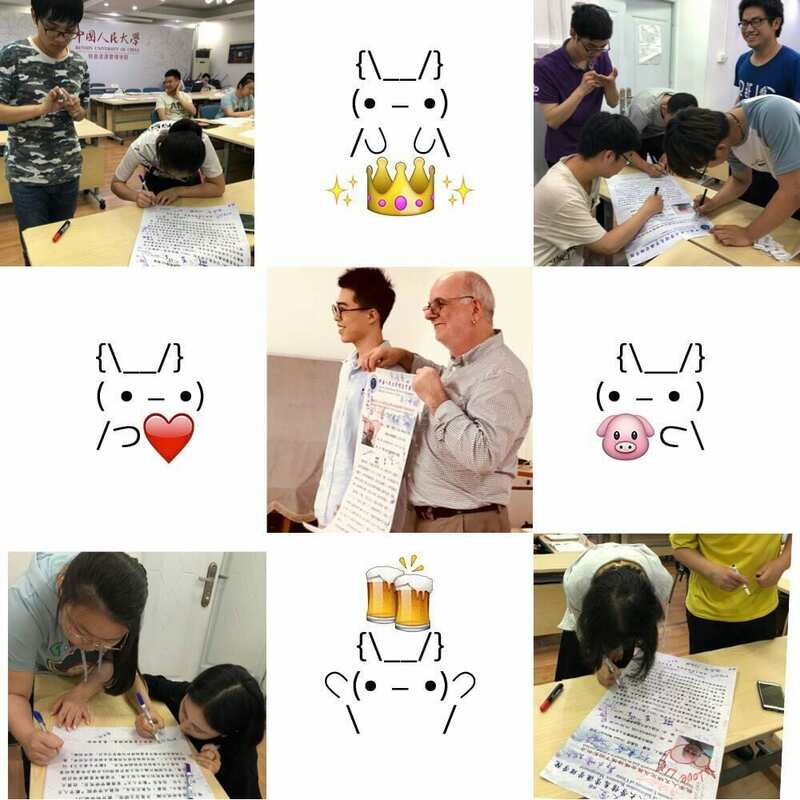 It is expected that 60% of the world’s population will be connected by 2020 and many, in China, India and elsewhere, do not use the Roman alphabet. 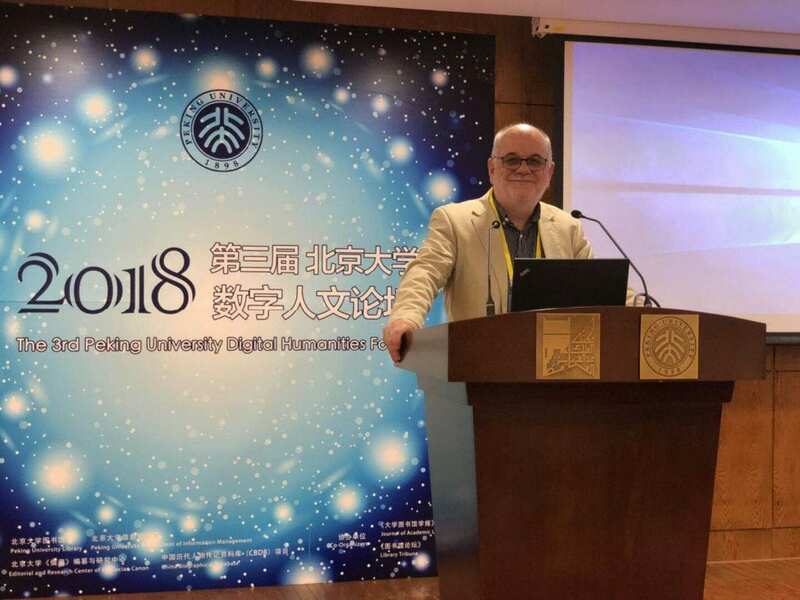 Facilitating this internationalization of the Internet is the great long-term opportunity for UCL as the world’s leading centre of linguistic expertise. One development that came to light is that Google is making good progress with internationalized email addresses. I want one! – something like 克里斯@谷歌.在线 perhaps. In Chinese, Google is written with characters meaning “valley song”. 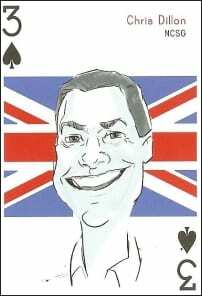 I have a nice souvenir – I made the meeting’s deck of playing cards. 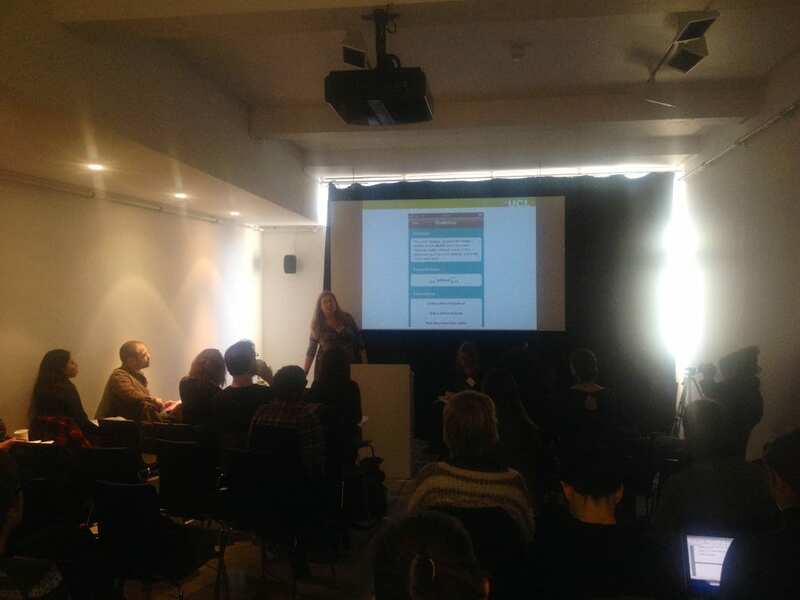 Monday 9th December 2013 saw our conference ‘Affective Experiences: media art, design & research’ which took place at the Parasol Unit: foundation for contemporary art. 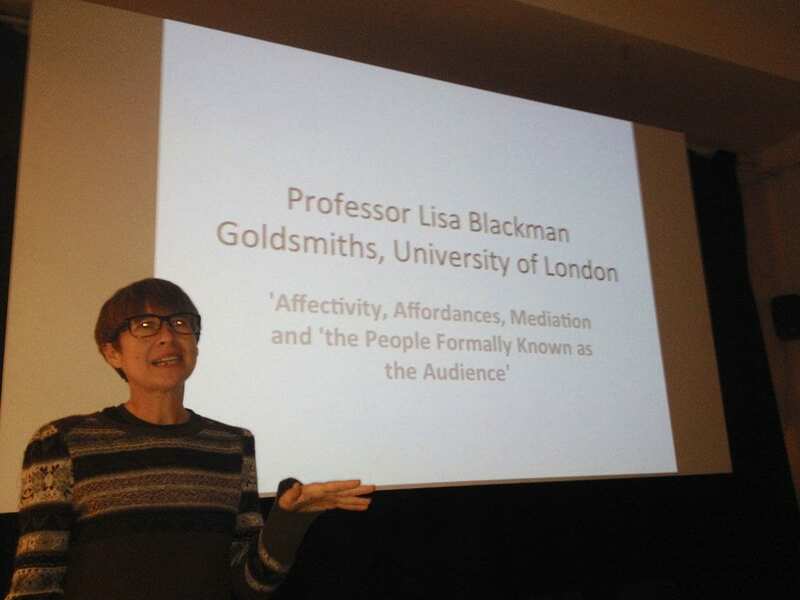 This conference was a great opportunity to close the conversations we started on February on the context of the AHRC funded project ‘New Media, Audiences and Affective Experiences’. 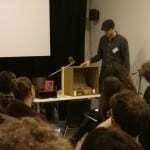 The project aimed to establish a platform for creative dialogue and collaboration for doctoral students from City University London, Kings College London, Middlesex University, New London Graduate School (NLGS) and University College London in the academic fields of Creative Industries and Practice, Art and Design and Digital Humanities. 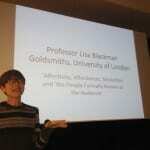 In this context, we were honoured to represent UCLDH as a distinguished partner of this collaborative effort. 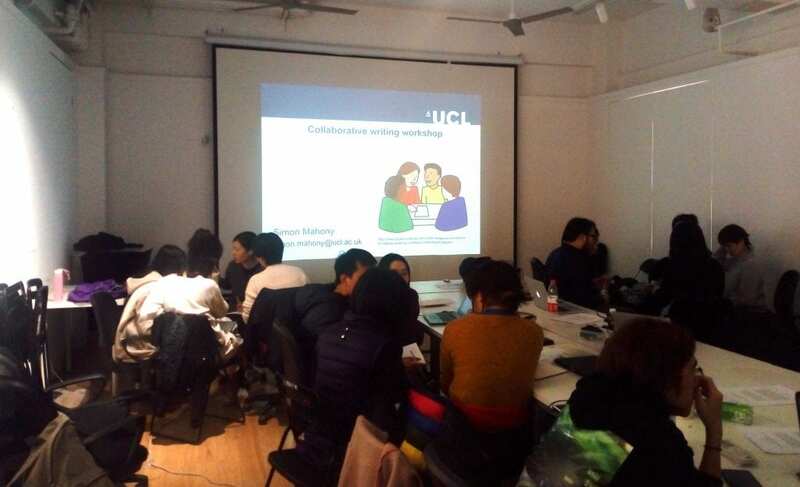 During the lifetime of the project, we organised three seminars that took place at the City University London, discussing research methods in the direction of understanding audience engagement and cultural experience through digital technologies. Through our one day conference we aimed to bring together artists, PhD students and established academics and researchers from a variety of disciplines, including art and design, cultural and creative industries, media studies, museum studies and the digital humanities. Participants presented their research and discussed new developments on understanding and measuring affect and audience experience in the digital age. 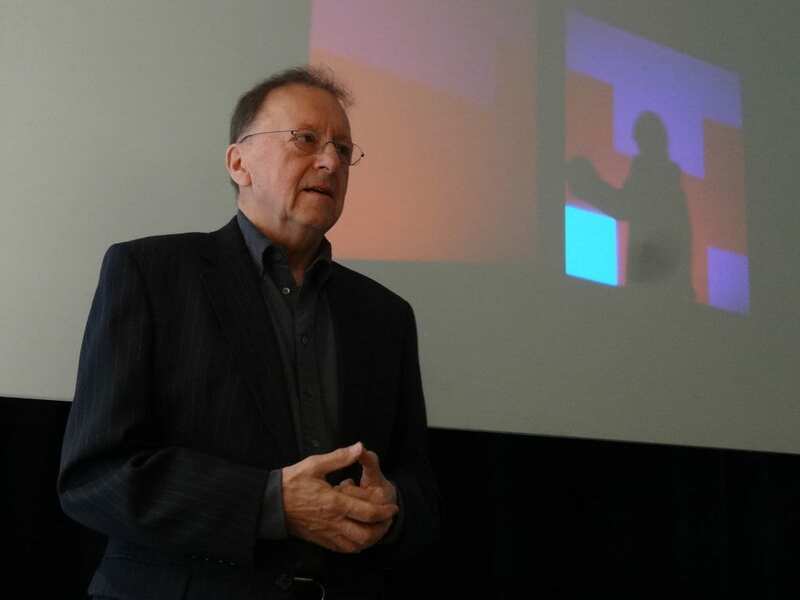 In particular, our keynote and panel speakers addressed issues from a wide and diverse spectrum of perspectives, ranging from the theoretical aspects of affect and perception in relation to audience experience to the more practice-based ones. For example, we had the opportunity to hear from artists and museum professionals on the innovative ways they used to engage with audiences, such as interactive installations, experiments and digital applications. In addition, we looked on methodologies and applications for furthering audience/user related-research; that is also when Professor Melissa Terras presented Textal. Concluding, this conference was a stimulating experience and we hope that the end of this project will be a start for new collaborations and discussions on the issues of affect, audience/user experience and digital technologies in the Arts & Humanities and Culture. Special thanks to Irida Ntalla, PhD Candidate at City University London (project’s principal co-ordinator), Marianne Markowski, PhD Candidate at Middlesex University (programme committee member), Anastasia-Yvoni Spiliopoulou, UCL Digital Humanities MA Graduate (conference volunteer) and Kathianne Hingwan (conference volunteer) for the great collaboration!